Control Line Flying is Alive! 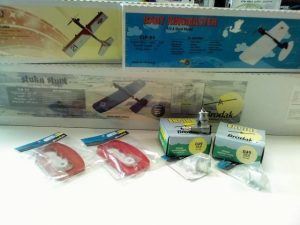 If you are new to Control Line Flying or whether you want to relive your childhood memories or just introduce your kids or grand kids to building and flying www.genericpropeciabuyonline.com model airplanes, come in and check out some of the reproduced 1/2A kits as well as a few of the larger stunt models. Published by Alan Hayes, in Control Line Flying, New In Stock.